Poison City Records is delighted to welcome aboard Adelaide fuzz-rock trio Horror My Friend, announcing their debut album Stay In, Do Nothing, due out January 2016. Emerging from the seemingly sleepy suburbs of Adelaide, Horror My Friend's approach to noisey, indie-rock is youthful and idiosyncratic. Tapping into the spirit of 90’s college-rock and shoe-gaze the trio (Josh Battersby, Tom Gordon & Sam Kolesnik) break new ground with their raw yet melodic auteurist songwriting, bolstered by frenetic, energetic live performances. Riding a wave of critically-acclaimed singles and 2014’s A Million Hands EP, Horror My Friend have been thrust towards the forefront of the nation's music consciousness, rapidly garnering praise for their commitment to the live format. All this has seen the band branded a pack of upstarts well worth keeping an eye on. A testament to the strength of their releases, Horror My Friend have supported the likes of Violent Soho, Swervedriver (UK), DZ Deathrays, Tigers Jaw (USA) and The Cribs (UK), even slotting in nicely as the opening act for Cold Chisel and Spiderbait at Adelaide's 2015 V8 Supercars. The trio have continued to chip away at nationwide recognition, securing strong local radio spins. They've even notched up a coveted triple j spot add, and scored an Unearthed Feature Artist slot. 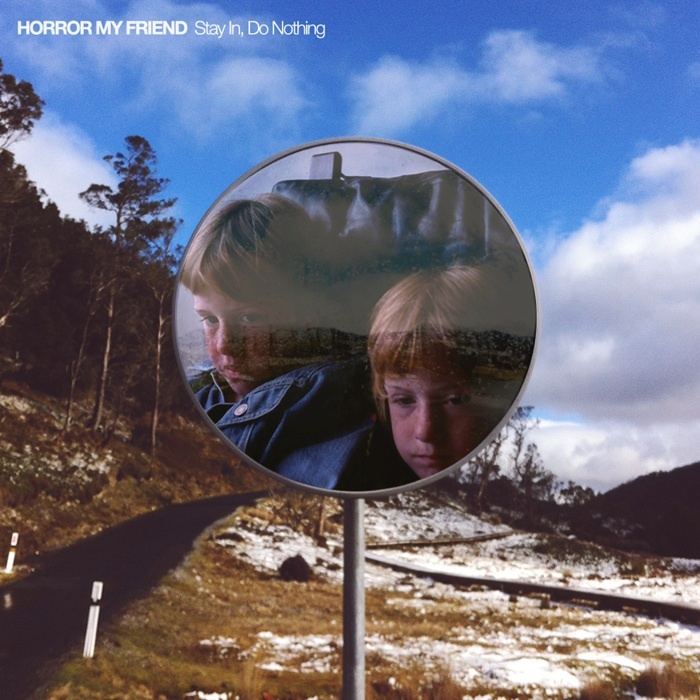 Stay In is Horror My Friend’s lead single from their forthcoming debut album. It is a fierce ode to laziness, hopelessness and a bleak future. Recorded by Jez Giddings at Melbourne's Hothouse Audio (Hunting Grounds, The Living End), Richard Bowers at Soundpark and mastered at Studios 301 by Steve Smart (You Am I, Midnight Oil), Stay In, Do Nothing sparkles with youthful energy; walking the line between noise, rock and melody with a heavy nod to pioneers like Dinosaur Jr, Pixies and Swervedriver.